There are several trails around the resort suitable for cycling. 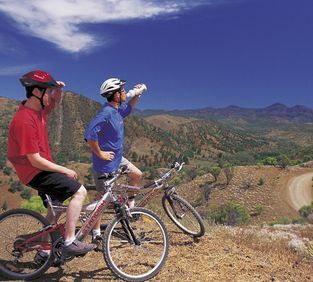 Mountain bikes are available for hire from the Visitor's Centre and Resort Reception on a full day or half-day basis. Ride to Old Wilpena Station before taking the self-guided walking trail around the old buildings.